Mr DJ Music Studio 2 is the complete all in in 1 MP3 Music Program. Ideal for storing all your Mp3 Files in One place. Mr DJ Music Studio 2 also inlcludes a lyric editor,soundboard and playlist agent. 4 Applications in 1. Packed with powerfull features and an easy to use interface its gonna make playing music more fun. 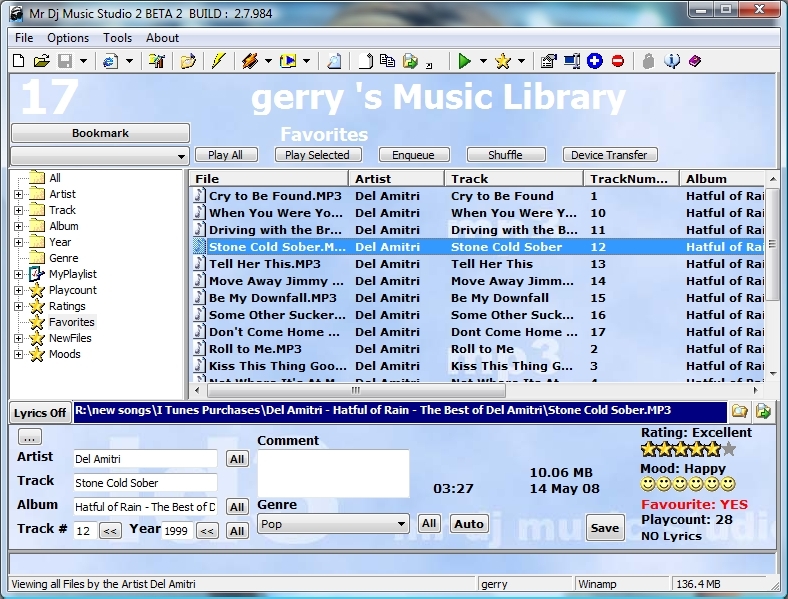 Mr DJ Music Studio 2 software supports three music players - internal player, Winamp and Windows Media Player. Mr DJ Music Studio 2 software supports three music players - internal player, Winamp and Windows Media Player and lets you choose the one you like best! However, diversity doesn't end here - Mr DJ Music Studio is a 4-in-1 product, so you get Mr DJ Music Studio 2 for your music, Mr DJ Lyric Editor for your favorite song lyrics, CD Archiver for keeping track of all of your CD's and CD Ripper & Encoder for even more fresh music! Sight Reading Studio play a random musical phrase on a midi keyboard. Qweas is providing links to Mr DJ Music Studio 2.9 2012 as a courtesy, and makes no representations regarding Mr DJ Music Studio or any other applications or any information related thereto. Any questions, complaints or claims regarding this application Mr DJ Music Studio 2.9 2012 must be directed to the appropriate software vendor. You may click the publisher link of Mr DJ Music Studio on the top of this page to get more details about the vendor.